RUSH: Kimberley Strassel has a wonderful piece today in the Wall Street Journal: “Who Is Christopher Steele?” It is quite the expose on this guy, and it comes at all of this from (which is very hard to do now) a unique perspective, a unique angle. There are how many people, how many thousands of people commenting on Christopher Steele and the dossier and the FISA court and all that: Do you realize how difficult it is to come up with a unique angle on this? At least it’s unique to me. I have not seen anybody else make the point she makes here. If others have and I’ve missed it, I apologize. But her piece today is entitled, “Who Is Christopher Steele?” Who is this guy and why is everybody believing the guy? “The man who revealed a vast international conspiracy but didn’t know his own client. … To the extent the U.S. press has focused on Mr. Steele, it has been to portray him in heroic epic style. A Washington Post profile told how Mr. Steele, a former MI6 agent who left in 2009 to start his own firm, felt ‘professional obligations’ to take his dossier to the Federal Bureau of Investigation. “That’s how ‘worried’ and ‘rattled’ and ‘alarmed’ he was about the Trump-Kremlin ‘plot.’ The FBI welcomed this ‘well-trusted’ source, who had provided information in the past, as a ‘peer,'” because he used to be an intelligence guy himself until 2009. But Steele made it all up! Steele was contracted to do this. Steele went to the FBI as though he had brilliantly and as a singular mastermind learned all of these things about Trump and Russia and Carter Page, and the FBI was supposedly dazzled by it. The FBI did not know that he had been paid by Fusion GPS. The FBI did not know that he had been contracted or commissioned to do this. But Kimberley Strassel says they should have. “[T]he FBI should have known better. Even if Mr. Steele had previously been helpful, the [FBI] had every reason to be wary in 2016. This wasn’t like prior [peer-to-peer] collaborations. He was coming to the FBI as a paid political operative,” and they didn’t know that! Ostensibly, they didn’t know that. He produces his work of art, the dossier, and he’s very troubled by it. He’s very, very rattled — very alarmed — at what he’s learned, and he makes tracks to the FBI. The FBI does not know that he has been paid to do this. 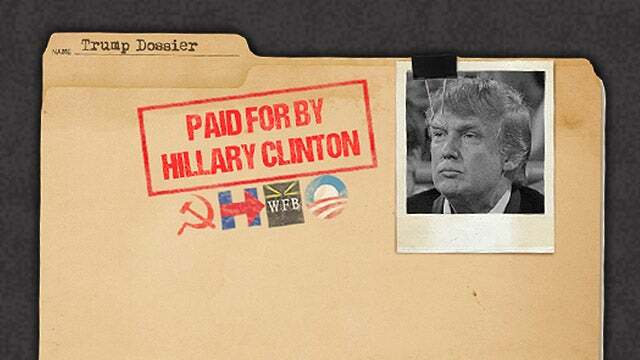 He arrived at the FBI with his dossier as a paid political operative hired by Glenn Simpson, Fusion GPS, which was “a subcontractor for Hillary Clinton’s campaign.” So this is just confirmation that Hillary had paid Fusion GPS to get the dossier written, and Steele had been chosen to do it. 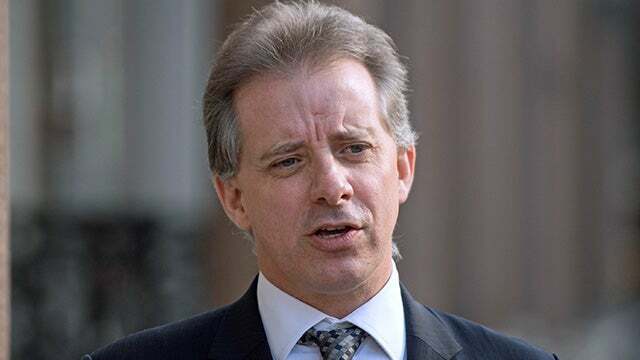 Yet Steele presents himself to the FBI as though he’s been out there as an independent contractor, and he’s very alarmed and very concerned and very troubled by Donald Trump. And he has amassed all of this information the FBI definitely needs to know. And he takes it to them, and the FBI happily accepts it. “The FBI also had reason to view his research with skepticism — on grounds of its tabloid-like allegations…” The golden showers story! That’s the one that’s discussed the most, but there are many other salacious and perverted claims about Trump and associates and their behavior in this dossier. So you’re the FBI, you’re James Comey; you’re in daily contact with people at the CIA and the DIA, you’re in daily contact with international intelligence agencies, and never has anybody said a damn thing about Trump colluding with Russia or anybody else. And one day this guy Christopher Steele shows up. And he’s got this dossier and he’s got all this stuff in it, and you don’t know a thing about it, and the CIA didn’t know a thing about it, and the DIA didn’t know a thing and the MI6 people in London didn’t know anything about it. Nobody knew about it because none of it was true, and yet the FBI looked at this and they accepted it, and they ran with it. They end up using it to get a FISA warrant and then that warrant renewed to spy on Carter Page and whoever else. This is the unique thing that I had not considered, that Kimberley Strassel has stumbled into here. Here is this guy — who we now know was doing what he was doing because he was paid to do it by a subcontractor for Hillary Clinton ($10 million is the figure thrown around). And this guy, out of the spy game for seven years, is able, with a few phone calls from London, to learn things about Trump and Russia that no other spy agency in the world knows a shred of anything about. That alone should have told Comey and Brennan and Clapper to be highly suspicious. Instead, they were not suspicious; they embraced it, and they ran with it. “But rather than proceed with caution, the FBI swallowed the whole package. “According to Sen. Chuck Grassley’s declassified criminal referral,” which we detailed yesterday, “former Director James Comey testified that the bureau couldn’t meaningfully corroborate [Steele’s work], but used it in Foreign Intelligence Surveillance Court proceedings anyway because” Comey said (paraphrased), “Well, this guy had given us good stuff before.” Even though there was no evidence anywhere for this stuff. There was no evidence! No other spy agency had an inkling of any of this. And this guy out of the game for seven years is able to dredge up all this with phone calls from his home in London to a bunch of Russians? And so the magic happened! The FBI accepts this, and a political document — a political opposition research document — is automatically converted into legitimate intelligence. Christopher “Steele and Fusion GPS’s Glenn Simpson immediately proceeded to use the bureau to advance their [Hillary Clinton]’s interests. They went to the press with a stream of briefings,” and this is what got the dossier ultimately in the public domain. Christopher Steele — who was asked by the FBI not to talk about it — did anyway. And this is where the Grassley memo resurfaces again, demanding an investigation of Steele because he lied to the FBI. Anybody else that lies to the FBI gets prosecuted, and usually convicted, and they go to jail. So Grassley’s demanding the same equal treatment for this Christopher Steele guy. So Steele and Glenn Simpson, Fusion GPS, go to the media with a series of briefings about the FBI investigation into the Trump campaign. Steele did not have to go to the media with his dossier and say, “Look what I found.” He took it to the FBI; the FBI accepted it. The FBI accepting Steele’s memo, hsi dossier, gives it instant credibility. The media does not question it. Why, the FBI accepted this! Why, the FBI is using this! Why, the FBI believes this. Every day we learn more about this, and we learn that it’s an even bigger scam than we thought! To believe parts of this version, we’ve really gotta believe in a dumb and stupid, incurious FBI. If we are to believe the FBI is not part of this effort to destroy Trump. If you want to give the FBI leadership (Comey, et al) the benefit of the doubt, then the only thing we can say is that they were dumb. They accepted this guy’s work because, “Well, he’d done good stuff in the past.” Even though he presents them stuff no agency in the world has even gotten any inkling of, they accept it — and their acceptance of then gave Steele and Simpson credibility to talk to the media about its contents. And then the next phase was Comey presenting it to Trump, and that gives another media opportunity. “Well, they showed it to Trump. We are duty bound to report what this is.” It is a giant scam. The only question is how involved was Comey and others? Strzok, Lisa Page. Their texts do not look good for the FBI. It makes it look like everybody was in on this and knew it was bogus but wanted to use the weight and the power, the reputation of the FBI to legitimate might all of this, or legitimize it, which is exactly what happened. “The resulting stories were awesome for the Clinton campaign — but not so much for the FBI,” who has been under assault here from several quarters. Ms. Strassel writes, “There is no excusing these actions. The FBI had expressly told Mr. Steele not to speak to anybody outside the bureau about the dossier. And Mr. Steele failed to disclose these briefings, or perhaps lied about them, since the FBI assured the FISA court that he was not talking to the press,” when he was. Folks, it’s so dirty.